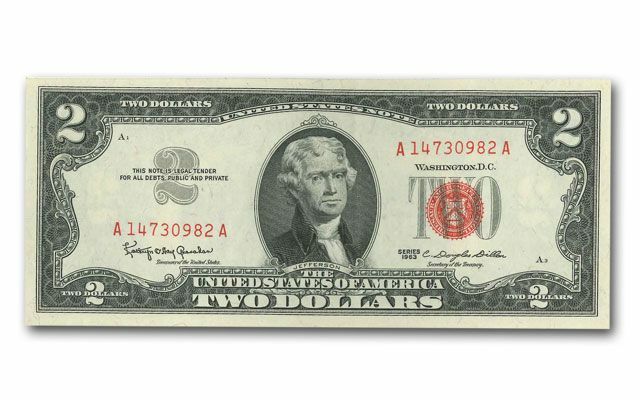 This Federal Reserve $2 Note $2 is in Very Fine (VF) condition and was issued from 1953 to 1963. It features Thomas Jefferson - the primary author of the Declaration of Independence - on the front, and Monticello on the back. 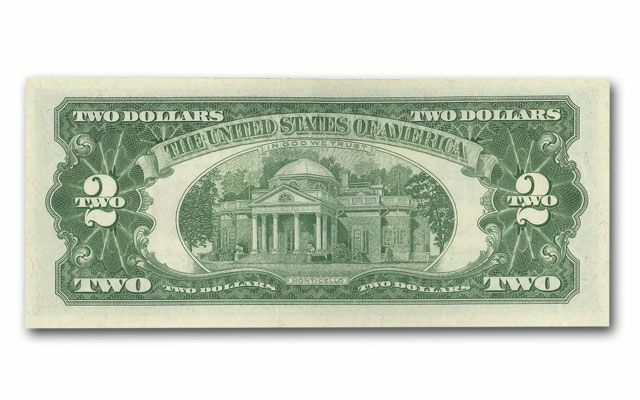 In spite of its relatively low denomination, the $2 bill is one of our nation's most seldom-seen - or used - bills. This is due, in large part, to the Treasury Department's low production of the note; approximately .5% of all U.S. notes produced are $2 bills. The other reason is purely psychological - many Americans remain remarkably superstitious about spending it, which further decreases its circulation. 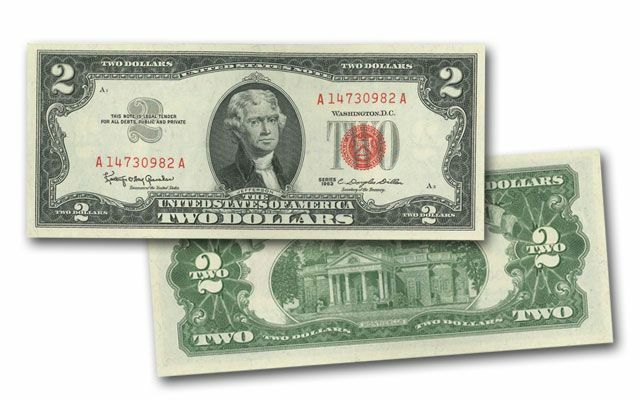 In fact, the $2 bill is so limited in circulation that few electronic cash registers, money-changing machines and vending machines accommodate it.